Gérez vos salaires à travers l'Afrique grâce à notre solution RH en ligne. 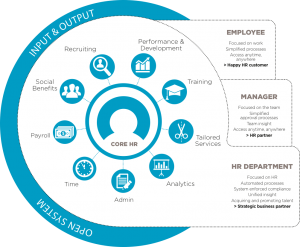 Manage your payroll across Africa with our complete online HR solution. Popay.net is a comprehensive HR and payroll solution developed by developed by specialists with a wealth of experience in the field. Our expert software was designed with the needs of complex organizations in mind. Regardless of the scale and complexity of your business, our solution will give you an edge in managing effectively your most valuable ‘resource’ – your employees. Popay.net is subscription based and is available online. The main characteristics and benefits of this approach are limited upfront capital expenditures, higher security, lower maintenance costs and fast implementation, with rapid ROI. Popay.net offers all advantages of a SaaS platform. Popay handles the underlying systems and software. Maintenance and upgrades too are taken care of, and all functionalities are available over the Web. Continuous development let the platform evolve and new features are added incrementally. The solution does not require IT involvement, while the most innovative trends are being incorporated into the solution over time. Popay.net provides you with a convenient and modern way to manage your HR administration & payroll needs, enabling your HR department to focus on core personnel management functions. Our user-friendly web interface simplifies the updating of personnel records and ensures fast and reliable payroll processing. Pay statements are available online or automatically emailed – saving ink, paper and time. Bank transfers are processed through a safe and fully automated payroll engine to provide you with additional peace of mind. Access your HR and payroll information anytime and from any location. Whether as employee, manager or HR professional, you only have to log on to our secure web interface to enjoy the convenience of real-time access to data that is critical to you and to your business. You can view your pay slip, approve leave requests from your team, access detailed analysis reports, and process your HR and payroll transactions from anywhere – even on your smartphone. Our system is hosted in a secure data centre with automated backup management. The application’s role-based access restricts user to relevant data and functionality and the workflow enabled transactions allows for validation for sensitive data. And of course all changes in the system are tracked and logged in detail. Save on implementation costs with Popay.net. Our Software-as-a-Service (SaaS) solution is completely cloud-based, delivering significant savings on product licence and installation costs while sparing you the burden of having to upgrade to newer versions. There is no direct investment in technology or maintenance costs. You will save on hiring and training a specialist payroll team while enhancing your productivity. Last but not least, our transparent billing system is based on the number of pay statements produced. «J’utilise maintenant le dernier vendredi du mois pour faire la paie des différentes sociétés du groupe. J’attends que tout le monde quitte le bureau à 18h, et en 45 mn j’ai tout fini : le calcul de la paie, l’édition des bulletins, des états après-paie, la génération du fichier de comptabilisation, etc » I now run the payroll for the different companies of the group on the last Friday of the month. I just wait until 6pm when everyone has left the office and in 45 minutes it’s done: the payroll is run, the payslips printed, the post payroll reports processed, the accounting file generated, etc.